The T-54 had been developed in 1946 by the Soviet Union shortly after World War II in response to the ever-increasing tensions between itself and the Western powers which lead to the Cold War. It went into production in 1947 as a replacement to the highly successful T-34. It was first seen in 1949 and once it completed every 7000km service, it had a workshop over haul and several continuous up-grades were added. In 1958 it was re-hauled and equipped for the nuclear battlefield with a basic NBC protection system which did not protect against radiation or fallout and with other up-grades, was re-designated the T-55. The T-55A entered service in 1963. It’s NBC protection was upgraded with anti-radiation internal liner and anti-radiation cover on the tank commander’s cupola. The T-55A has a 100mm D10T main rifled cannon and carries 43 rounds. It has the benefit of a low silhouette and turret, which is one meter lower than its main rival at the time, the American M-60. It also has a very good long-range capability of 500km and with two 200-litre auxiliary fuel tanks on the rear, its range is increased to 715 km. It is powered by an up-graded V-12 water-cooled diesel engine, which produces 580 hp and a top road speed of 50km/h. Its armour plating is 200 mm thick on the turret and 120 mm thick on the hull. 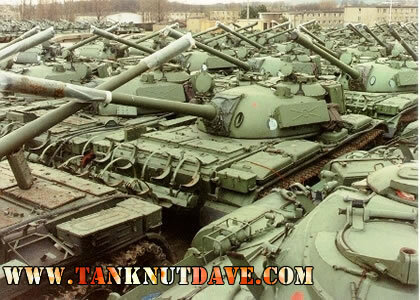 Roughly 95 000 T-55’s were produced by Russia until production ended in 1977 and it holds the world record for the highest number of manufactured tanks, with the T-34 as second. By the 1970’s the T-55 along with its replacement, the T-62, both made up over 85% of the Russian armour. It was built under licence in several communist and satellite countries, including: Poland, Czechoslovakia, Romania and China, were it was re-designated the T-59. With further improvements it was developed into the T-69, which was a highly successful export vehicle and still is to today. The Israeli Defence Force went up against the T-55’s in the 1967 Six day war, M48’s locked into battle with the T-55’s were it was found neither could penetrate the others frontal armour. The IDF captured large numbers of abandoned T-55’s by the fleeing Egyptian and Arab Armies. 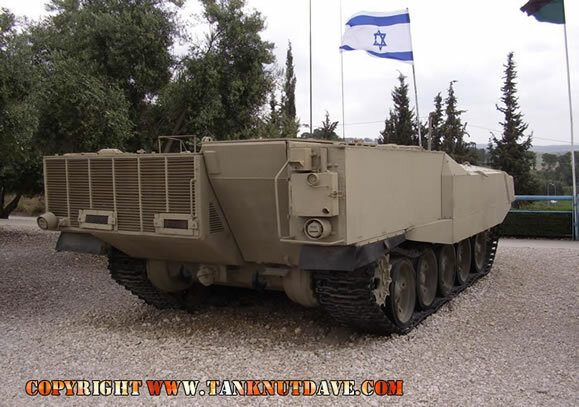 It was heavily modified by the skilled production lines of the IDF and designated the Tiran 4 & 5, which had a 105mm main cannon. 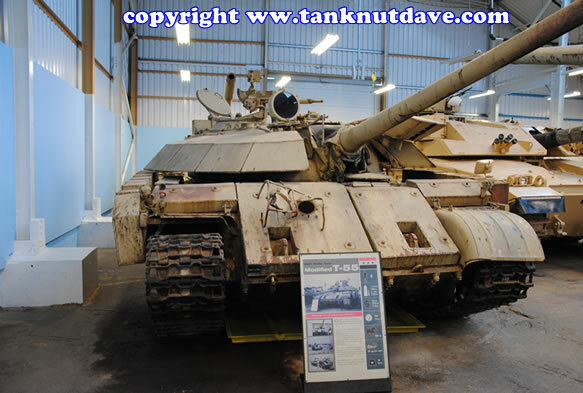 The Tiran was used in the operation “Raviv” on the 8th & 9th of September 1969, which was an amphibious raid across the Suez channel as well as the 1973 Yom Kippur War in the southern front, against Egyptian T-54/55. 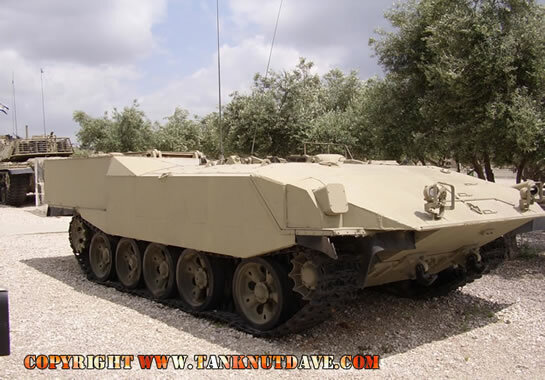 It was retired from service through out the 1980’s with the introduction of the IDF built Merkava MBT, where they were sold to other countries or converted into the Achzarit APC’s for IDF use. T-54 Ver1 Production was from 1946–1948 in small numbers for field testing. 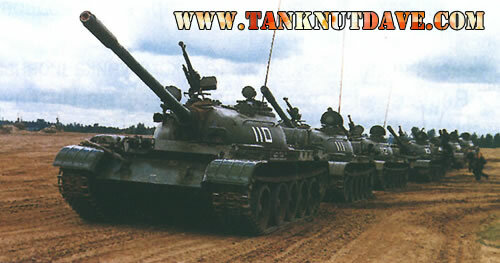 T-54 Ver2 Production was from 1949–1952 with improvements to the turret and wider tracks. T-54 Ver3 Production was from 1952–1954 with a new telescopic gunner’s sight and a smoke screen generator. T-54A Production was from 1955–1957 the 100mm cannon was fitted with a new STP-1 stabilizer & a bore evacuator, a new OPVT wading snorkel and a TVN-1 infrared driver’s periscope and IR headlight as well as a new R-113 radio. T-54B Production was from 1957 to 1958 with an improved D-10T2S cannon with a new STP-2 “Tsyklon” stabilizer, a L-2 “Luna” infrared searchlight and TPN-1-22-11 IR gunner’s sight. T-54M prototype fitted with the new D-54T and D-54TS 100 mm smoothbore cannons. T-54K1 along with T-54K2, T-54AK1, T-54AK2, T-54BK1, T-54BK2, T-54MK1, T-54MK2 were command variant’s, equipped wiith added communications equipment. T-55 Production was from 1955–1963 It had a new turret, nuclear-blast protection and an NBC system, an improved V-55 engine with greater fuel and ammunition storage,the AA MG was removed and the road wheels were replaced, a new snorkel allowed it to wade in depths to 5.5m. T-55A Production was from 1963–1981 with a new anti-radiation lining and full PAZ/FVU chemical filtration system & NBC filtration in the cab, the bow MG was removed, and the coaxial MG was replaced with a new PKT MG.
T-55K1 along with T-55K2, T-55K3, T-55AK1, T-55AK2, T-55AK3, T-55MK1, T-55MK2, T-55MK3, 155MK3 were command variant’s, equipped wiith added communications equipment. Ob’yekt 155ML Prototype of the T-55 with a launcher fitted for three 9M14 wire-guided anti-tank missile’s. The T-55 saw heavy use on both sides in the Iran & Iraq 1980 to 88 war, were it was alleged that the IDF had sold large numbers to Iran, and it was also used by the Iraqi’s in the 1990 Gulf War and defence against the 2003 invasion by coalition forces of Iraq. It was used by all Armies through out the numerous wars raged in the former Socialist Federal Republic of Yugoslavia between 1991 and 2001, but proved weak to attack from modern infantry anti-tank rockets. Russia has also recently provided the anti-Taliban United Front Army in Afghanistan in a reported $45 million dollar arms contract with refitted T-55’s. The T-55 has been used for major or small armed conflicts by over 20 countries, including the present attacks by the Ethiopian Army in Somalia and been in service in over 50 countries since its introduction. It is still in service with countries that do not have the capability to mount large armed battles or wars or as a reserve battle vehicle.